We Supply Spares and Fitment for all ranges of compressors, and with competent staff to provide you with the service you deserve. 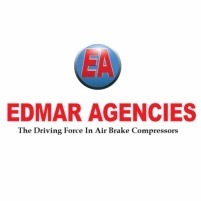 Edmar stocks both new and used compressors, as well as carrying an extensive range of complete repair kits for all types of compressors at competetive pricing. Tags: Repair Kits / Parts for: Bendix, Midland, Clayton, Cummins, Scania, CAT, ADE, Perkins, Wabco, Knorr, M/Benz, Deutz, MAN, Volvo, Axor, Atego, Specialists in Air Brake Compressors, Spares, Repairs, New and Service Units.